“Think only of the past as its remembrance gives you pleasure” : Name That Novel! 206 years ago this week a book was published that changed the course of literary history, respect for women authors, and the romantic ideals of young women around the world. Over 20 million copies have been sold internationally. 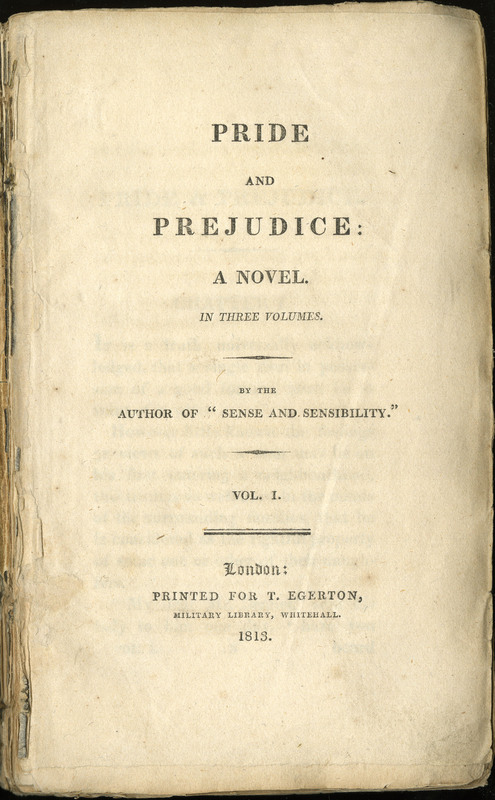 Little did Ms. Jane Austen know, Pride and Prejudice, the novel she sold publisher Thomas Egerton for one lump sum of 110 GBP, would sell out its first run in a matter of weeks, the three hardcover volumes valued at 18 shillings. Perhaps blogs on Jane Austen’s life are unoriginal, seeing how often she is touted as a great literary genius. We would like to add our own to the fold, since a) it is kind of shocking we have gotten away with not writing blogs on the lady for so long, and b) we love to love Jane Austen. Austen’s literary genius comes from her impeccable representations of English mannerisms, her wit, her clever dialogues, and her respected portrayals of young women in Regency England as she slowly but surely added to the transition of English Literature to 19th century realism. Jane Austen was born on December 16th, 1775 in Steventon, Hampshire. She was a welcome addition to a large family, and especially welcomed as the sole female sibling to be a companion to her sister Cassandra. This understanding ended up being amazingly true, as never before have we heard of sisters more devoted to each other than Jane and Cassandra Austen. Both were sent to boarding school in Reading in 1785, where they were taught the normal accomplishments of women of the day (needlework, dancing, spelling, etc.). However, their formal schooling lasted only a little under two years, before the school fees became too much for the Austen household to handle and the girls returned home. Never again would Jane or Cassandra live parted from the family unit. The rest of the girls’ schooling would come from their father and brothers James and Henry (to whom Jane remained quite close). The family and their friends would stage private theatricals at the Steventon rectory, often comedic in nature (one doesn’t need to look far to see where her wit and satirical nature was developed). By the time Jane was 12, she had begun to try her hand at writing, working on short plays, poems, and other works of a satirical nature. Later on, these works would be compiled into a volume known as Juvenilia. At the age of 18, at the birth of her first niece Fanny, Jane sent the baby some humorous essays on the conduct of young women. Continuing to do such work for family and friends, which were cherished and often read aloud at gatherings. Between the ages of 18 to 20, Austen wrote a short epistolary novel known as Lady Susan (not published in her lifetime). The plot of Lady Susan deals with a manipulative and seductive protagonist who uses charm and flirtation to get what she wants out of men, and is significantly different from any of Austen’s future novels. Throughout her twenties, Austen had several flirtations (mainly Tom Lefroy and an almost terribly matched marriage to Harris Bigg-Wither), but no one stuck. The marriage to Bigg-Wither could have provided her family with financial ease and freedom, but Jane refused to marry for money rather than love (a theme seen in so much of her writing), so rescinded her acceptance of the proposal. (You go, girl.) 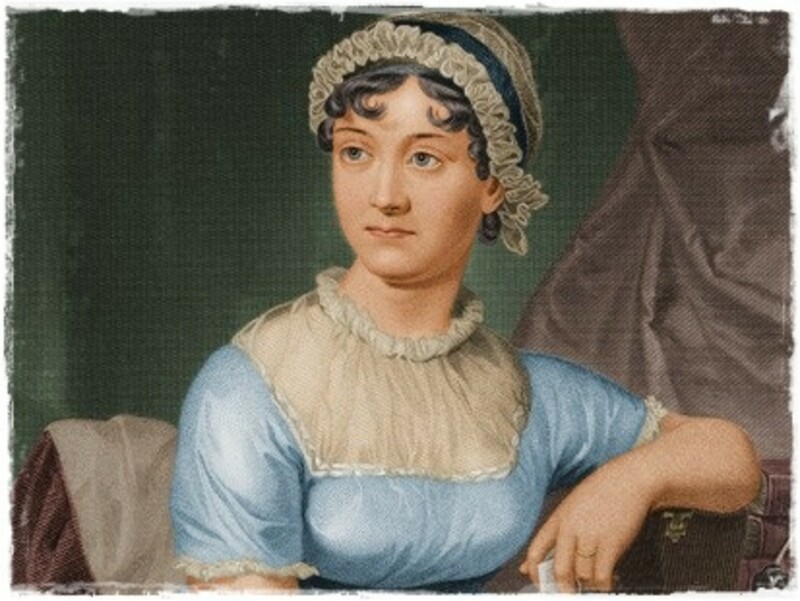 During her twenties she began the novels Susan, Elinor and Marianne and First Impressions - novels which would eventually turn into Northanger Abbey, Sense and Sensibility and Pride and Prejudice. The early 1800s were a tumultuous time for the Austen family, as with her father’s sudden death in 1805 her sister, mother and her were left on the charity of their brothers and other extended family members. 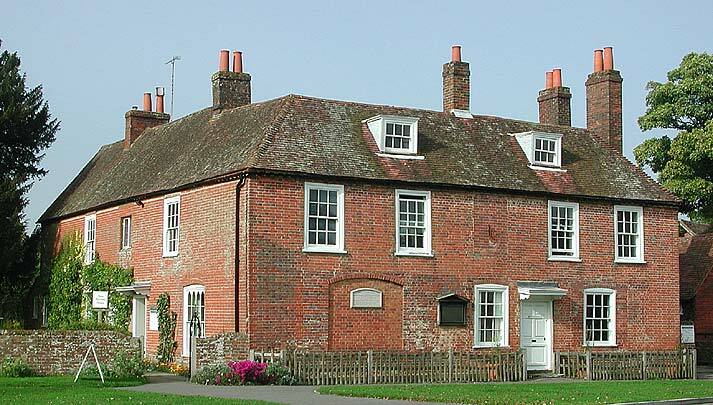 The ladies moved around the countryside often, until finally in 1809 being offered a cottage in Chawton by Austen’s elder brother, Edward. If is here that Austen perfected and wrote more novels, at a relatively quick pace. This was seemingly due to quiet country life, with fewer distractions and more time to focus on her skill. 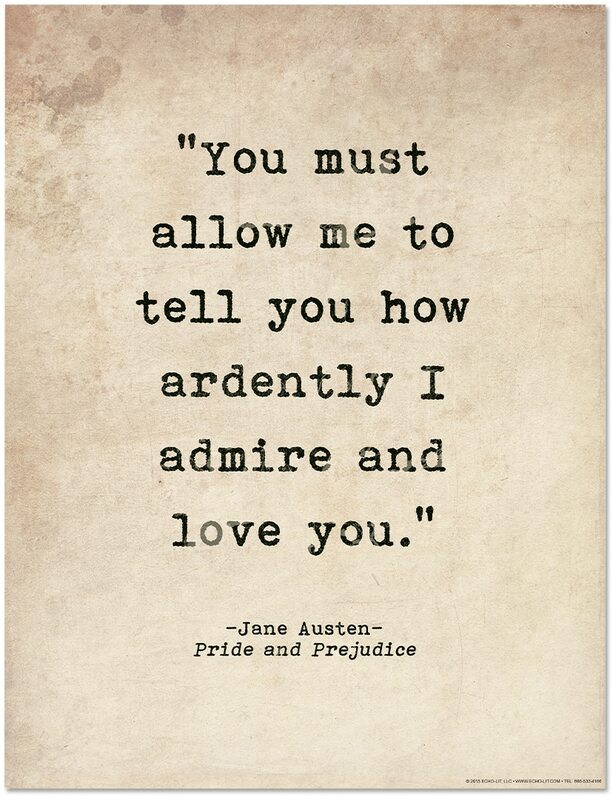 Sense and Sensibility was published in 1811, Pride and Prejudice in 1813, Mansfield Park in 1814, and Emma in 1815. These novels, though published anonymously “By a Lady” were favored and popular during their time. Though they brought her rather little fame or money, she was known and by the 1830s she would become a household name. Unfortunately Jane would not live to see those days, as by 1816 she began feeling unwell, with what can today be attributed to Addison’s disease or Non-Hodgkins Lymphoma. 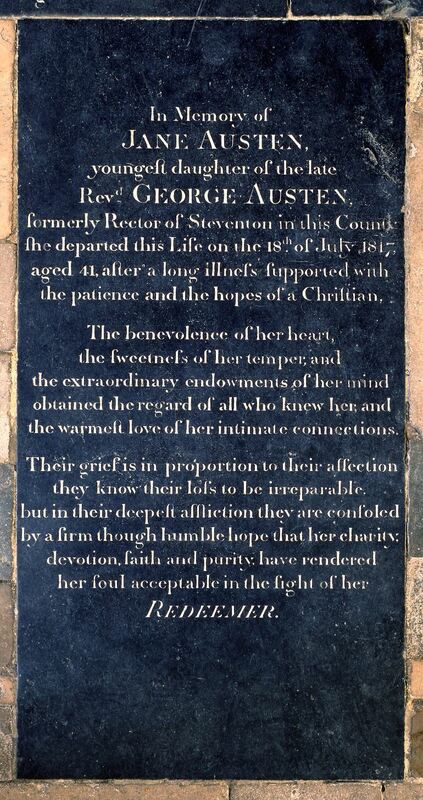 By March of 1817 she was no longer strong enough to write, and passed away on July 18th, 1817, at the young age of 41. Much of her work was published posthumously, despite her personal life being somewhat of a mystery – after her death her sister Cassandra destroyed (possibly) thousands of her letters, leaving only 161 known letters to investigate – to protect her sister’s privacy. Who knows what kind of further work could have been achieved by this literary lioness had she not fallen ill… who knows what other heroines we might have been able to empathize and laugh with had she lived long enough to write. The important fact is… Jane Austen existed, and due to her wit and cleverness we have Elizabeth Bennet and Mr. Darcy to show us how its done… right in time for Valentine’s Day! This entry was posted in Uncategorized on January 29, 2019 by tavistock_books.